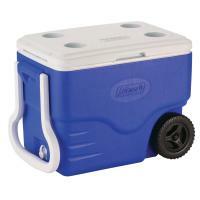 For one or two people travelling in a small car, this is the perfect size cooler. 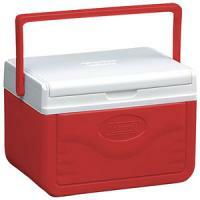 The main selling point for me was the basket handle and the fact that I could buy a tray that fits inside, to keep my food dry. 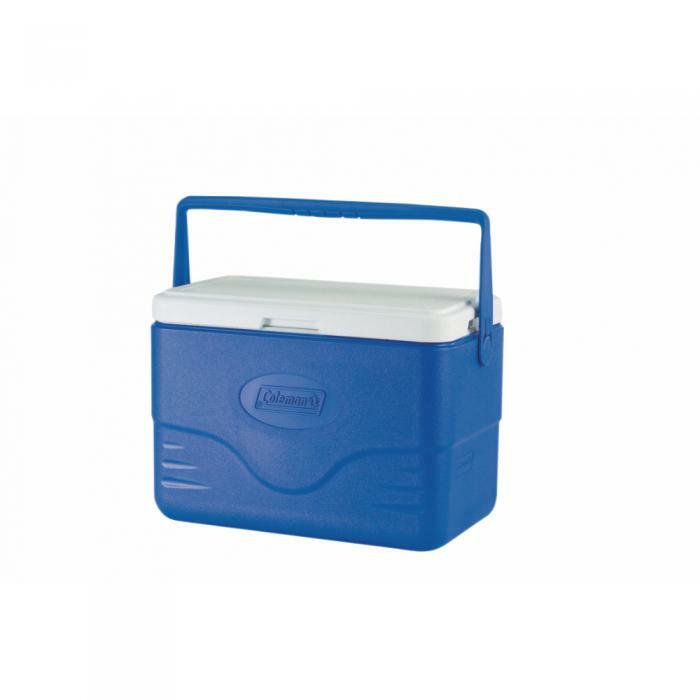 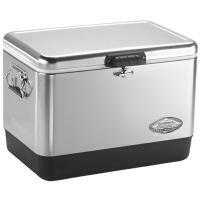 There is another version of this cooler with moulded side handles, which makes no sense. You don't need two hands to lift a cooler of this size, even when fully loaded. 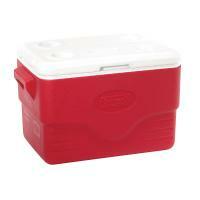 The beauty of the single handle is that your other hand can open doors. 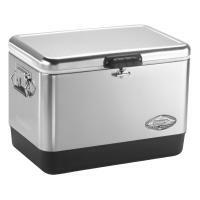 As for the tray, I don't know why major retailers don't sell it, but you can find it on that site where you can bid on stuff. 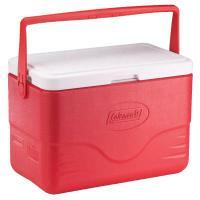 From my experience, the cooler will keep ice for 3 days, as long as you don't leave it directly in the sun.